There are lots of different types of paddleboard roof racks to choose from and there are a variety of price points in the roof rack market. Some are simple and affordable paddleboard roof racks, while others have more bells and whistles to strap up your SUP. In picking out your paddleboard roof rack, think about what will be the easiest rack for you to use that will fit your budget, your paddleboard and your method of transportation. With that in mind, the biggest question in picking out the proper roof rack for your paddleboard is whether your car has rack bars on its roof. Yes, Your Car Has Roof Rack Bars: Roof rack bars on your car are a bonus because they eliminate the step of having to secure your paddleboard rack to your car; instead, you secure the rack to the rack bars, which provides a very stable frame for paddleboard transport. The simplest mechanism is roof rack pads in the shape of cylinders that strap around your roof rack bars, generally with velcro. Next, you’ll need a set of tie down straps. The tie down straps will wrap around your paddleboard and the pads strapped to your rack bars to secure your SUP to your car. Very easy. But paddleboards are a serious investment and if you want to be more secure in protecting that investment, you can find higher end roof racks that provide the complete package for your paddleboards in terms of safety and security. Thule is one of the biggest names in roof racks and offers a variety of specialized roof racks that attach to different types of roof rack bars, so you should be able to find a match. With the explosion in the SUP industry, it now offers a number of racks targeted specifically to SUPs. For example, its SUP Taxi and its SUP Shuttle are both engineered with padding in the most critical areas to keep your SUP ding-free, and the SUP Taxi includes heavy-duty locking straps so you can stop into the grocery store on the way home from your session and not have to worry about whether your paddleboard will be gone when you come out. 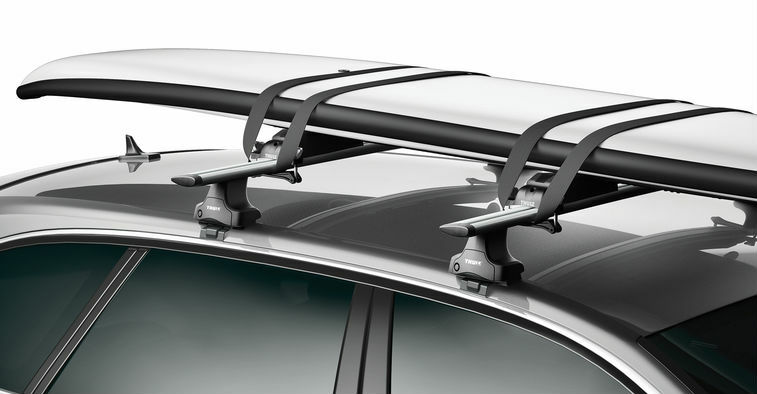 Another solid option is this paddleboard roof rack, which uses a unique "lockdown" strap system to secure your SUP to your car’s roof rack bars and provide robust support for two paddleboards. No, Your Car Doesn’t Have Roof Rack Bars: Even if you don’t have roof rack bars on your car there are car roof racks designed with you in mind. The standard solution to the no-roof-rack-bars problem is a roof rack designed to strap around your car’s roof and then strap around the paddleboard you put on that roof. Imagine a figure 8: the bottom loop of the 8 is a strap that wraps around the roof of your car and secures with a clamp on the underside of your roof. The top loop of the 8 is a strap that wraps around the paddleboard you will put on the roof. The middle of the 8 is pads that your SUP will rest on while it’s on top of your car. 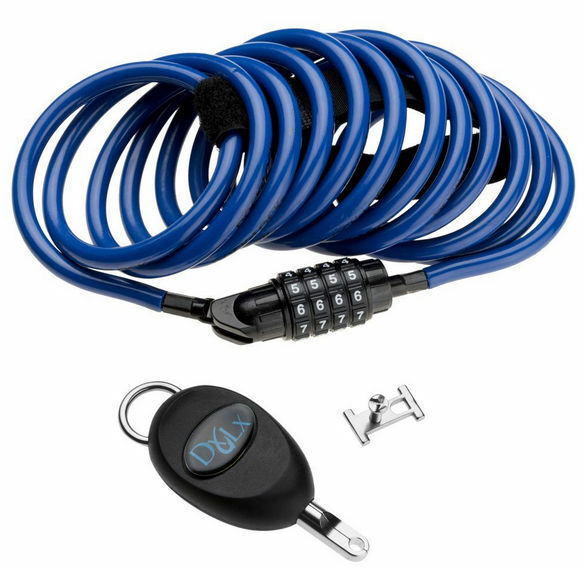 This design is generally 1 piece that is fully connected, and is not separate pads and straps. As mentioned, this is the standard roof rack for cars without roof racks bars, but you can tailor it to your needs with a few options, for example aninflatable car roof rack, a single wide car roof rack, a locking car roof rack, or a hard paddleboard roof rack. In addition to the fundamental design of your paddleboard roof rack, you’ve got to check out some of the finer details of the rack with your paddleboard’s safety in mind. First, for any clamp, support, or piece of the rack that will come in contact with your paddleboard – it better have padding around it. Otherwise it could very easily scratch or ding your SUP while you’re loading it onto the roof or driving down the road. Second thing to consider is whether the rack has spacer pads (or you want to buy spacer pads separately). Some separation between your paddleboards is definitely advised if you are stacking them on top of each other, and spacers will get the job done best. Also if stacking multiple boards, the rack’s straps must have enough length to wrap around your paddleboards. If you grab a set of surfboard straps there’s a chance they might not be built for the size of paddleboards. Finally, I’ll say it again – your paddleboard is a huge investment, so lock it up! Grab a locking paddleboard rack, locking paddleboard straps, or if you have an existing non-locking rack you can outfit it with a separate paddleboard lock system.